When B is Away ... I Clean! The last time B went abroad for work and I was left behind, I spent a huge portion of my alone time cleaning up our home. I had a little help then so it was easier to get everything done. By the time B arrived home, he was most impressed by the new curtains covering our balcony sliding door and the new location of our massage chair, which was previously in the bedroom. I had to drag and pull and push with all my might before the very heavy massage chair was nicely placed in its new location, inside our living-room. I even moved our furniture around, re-arranging stuff to add more space and comfort to our lovely but sometimes messy home. Our Area Rugs were freshly-cleaned and the floor was gleaming after a good mop. I laid out a new table-cloth on the day he arrived home and of course a special meal was cooking in the kitchen. It was a wonderful home-coming for B if I do say so myself and though I was exhausted after all the cleaning, shopping and cooking, I was still happy to have my darling come home to a nice clean house. Now that B has left me behind once again, I am suddenly inspired to decorate our home - starting with new Rugs. I hear Superior Rugs offers really beautiful Cheap Rugs that are excellent in quality, which is exactly what I'm looking for. The best thing about Superior Rugs is their unique awesome feature called Deal of the Day. Basically a special rug deal is offered every day and by special I mean really low prices! And once the deal of the day is over, the same rug will not be offered at the special low price again. 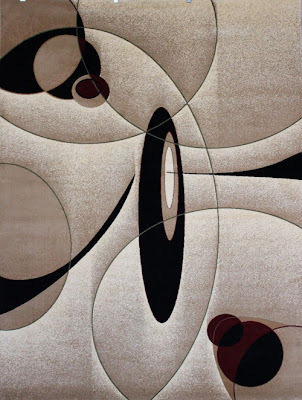 Are you looking for a new rug for your home too? Snap up these great bargains before somebody else does, hurry! Clean GP clean.. nowadays our apt not to messy with fur coz the kids dah ada room sendiri.. yihaa!! ok.. am off to bed now dearie.. soo sleepy...hehhehe.. nite nite!! LOL, sebab nak kill time kan LJ hahhahah kemas la apa yg patut, which is like everything! But now back to Monica… no more Guest, just the first comment…. Morning Monica, thanks for chopping too! Recent blog:=- Kelly Clarkson's Empathizing Because of You! Oh no need to be confused, it’s all good now that u can reply by email using Monica, yay! Morning GG, still not asleep eh? GG! Hehehehhhe! Thanks for chopping! U made FC3 sweetie, cheer up! He he, cute kan this smiley, sure la got candelight dinner after being apart for so long hahahaha! Yup, 2 points edi here this month GG! Yay GG, posting again soon he he…. LOL @ Ate Guest hahahahha! Before this u never restore?? Ohhh ha ha ha I restore after every new post! i love that rug, marzie! LOL hopefully Mon, u done dropping edi? I haven..
oh I would love a rug, but my house is not rug friendly due to my kitties! Heh, Rizal pun suka mengemas rumah bila tiada orang. Lepas tuu yang syiok bile dah kemas bersih, baru puas rehat. Semakin tinggi saingan di sini hendak mengeCHOP ni. Hendak-hendaknya ada pula pemain baru. Tee Hee. Tapi tu yang best. I love the rug Mariuca!!! We have storms moving through again right now and I can't run my adgi's yet. It was like this yesterday too!! I am hoping it clears soon. I need to get it done!! i like my surroundings to be always clean and pleasing to the eye. i do it everyday here. Happy spring cleaning dear. but try not to overstrain yourself with the cleaning chores, ok? Good morning to you Marzie and hope you have a wonderful Wednesday. btw, i love that rug. it's extremely gorgeous. i also tend to do things around home when hubs is away though he never really leaves me for a long time..
any new rugs you got? LOL a cleanliness goddess sounds ultra cool he he! Rajin LJ vacuum once in two days hehhehehe, come vacuum here! B is home edi LJ and he said the place looks clean yeeeha! I meant spring cleaning Foong, not the biasa daily chores mah…. I was dead tired after all my cleaning Kim but B is back and so I can rest now hahahahha! Still looking Ayie! He he! Thanks for coming by LR, I wish u a terrific week too! Yes it is Jackie and badge looks superb! Ur so rajin LR, want to come clean my place? Hahahahhaa! I used to vacumn twice a day GP!! Lol!! Gils ke apa vacuum twice a day! Hahhaha.. yelah.. I used to have 6 kids remember.. and lots of fur!! I hope so LJ lol..
LOL @ 6 kids and lots of fur hahahahahahhaha…now 5 but still lot of fur right? I just cleaned up the kitty condo LJ, dust bunny all over!